FOR MARITIME, AIR AND LAND COMBAT. ASAP France, a key player in the technological watch and the sales of operational equipment is pleased to announce the launch of its new structure. From now on, ASAP France support costumers from special intervention units, security agencies and private societies of maritime security from their first technical-operational reflexion to the deployment in the field. From this new activity, ASAP France has three main offers to answer the challenges of equipment and training requirement faced by deployed operational teams who must reach two goals: the improvement of their results and the optimisation of equipment, whether given or in the process of being improved! ASAP France has now diversified its technical and advice offer, by launching a new offer of services dedicated to State Institutions (Units specialized in Intervention) and for the companies specialized in service of defence and maritime security. From now on, ASAP France support costumers from special intervention units, security agencies and private societies of maritime security from their first technical-operational reflexion to the deployment in the field. From this new activity, ASAP France has three main offers to answer the challenges of equipment and training requirement faced by deployed operational teams who must reach two goals : the improvement of their results and the optimisation of equipment, whether given or in the process of being improved ! A TEAM OF EXPERTS LEAD BY A RENOWNED LEADER ! 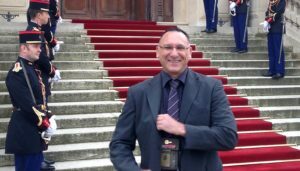 With over 25 years of experiences, and technical skills acquired within the French Marines and 5 years of technical and commercials responsibilities inspecialized societies, Xavier support his costumers to solve technical challenges and improve their performances through training, whether in France or abroad. During his career, he worked in a prestigious unit of the Specials Forces and acquired a strong experience in the sector of the aerial activities, underwater and counter maritime terrorism (CTM and CQB). Within ASAP France, Xavier is in charge of the development of the team, the choice of coherent equipment matching the operational needs. He also is in charge of theconsulting and the training package for the clients. With his team, suppliers, and partners, he brings his expertise to set up innovated solutions and achieve their goal. I would, of course, be delighted to give you any additional explanations that you may require. I’m looking forward to continue the adventure with you. Xavier served for 25 years with the French Navy Special Operations Command. Ending his career within the airborne as a commanding officer in charge of 380 soldiers – Naval Commando staff in Lorient (France). As the instructor in command of training a military freefall assault team, Xavier has acquired a diverse skill set in Maritime Counter Terrorism, Diving and Skydive. Xavier has trained countless French, African, Middle East Militaries, Government and Law Enforcement people in many aspects of Maritime Counter Terrorism including Combat Marksmanship, Close Quarters Battle, Combat Medicine & Tactical Combat Casualty Care, Maritime Assault, Vehicle Interdiction, Mobile Force Protection, Urban Warfare and Protective Security Details. Xavier’s instructional ability, knowledge and expertise in Counter Terrorism Maritime, Military Freefall, Aerial Delivery, HAHO, Military tandem are unrivalled in theirs fields.